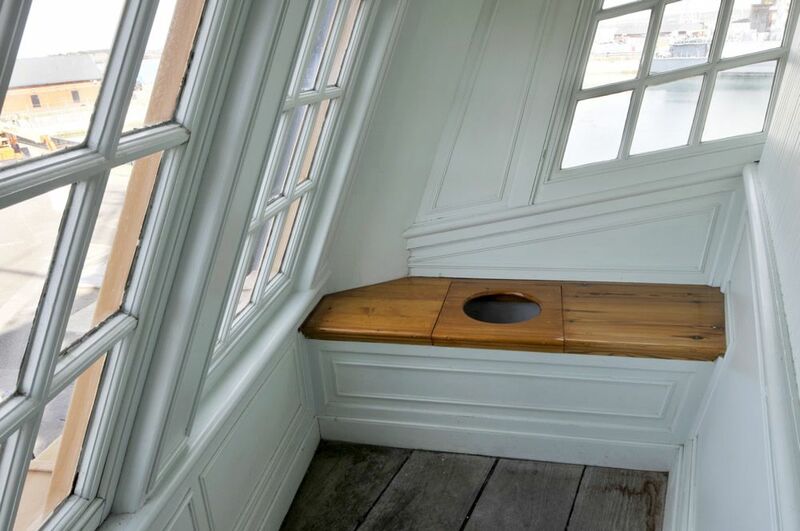 View of the toilet facilities provided for the officers on board HMS Victory (launched 1765) during the time of Nelson. No more than a seat with a hole above the waves, they were to be found right up in the bow (or head) of the ship. This HMS Victory - The Heads Art Print is created using state of the art, industry leading Digital printers. The result - a stunning reproduction at an affordable price.